I have some dino on glass before, however, after i got rid of most of my bubble algae then dino have come back a lot more. Perhapd less competition for nutrients. They are all in glass at the moment not so much on rocks. Is it safe to use algae scrapper to manually remove them or will it make it worse that after i scrap they will travel to live rocks and start growing on rocks? These algae are brown colour full of bubbles and when i gently it it broke down to like dust. Got sand and live rock yesterday. There is no immediate impact as to be expected after less than a day. The sand came from a tank that has my dinos so it is not ideal. I had to order and import the live rock unseen and it's crap. If we are right about the plankton and this is the quality of live rock people are getting, go figure. With the addition of sand and live rock, do you plan to dose phyto to encourage the fauna to florish? Regarding living rock I think it's a matter of luck. Six months ago I bought 6 kgs of an Indonesian batch that came with oxyrrhis marina. It took less than a week to clean a 600 gal tank from an ostreopsis outbreak. A few weeks later, oxyrrhis starved and vanished. Ostreopsis showed up again (it forms cysts). - Keep on feeding the pods from that rockwork as most of them will starve when dinoflagellates get eaten. I have never done it in that way. I just let the skimmate sit in the skimmer cup for 2/3 weeks and poured it into the tank (a whole gallon of black stinky stuff). Did a nitrate and phosphate test and it had nothing. On the microscope I could spot three or four kinds of bacteria and many nematodes. The water got noticeable blackish and dirty for several hours and ALL my corals (more than 800 acros, poccis, seriatoporas...and about 40 LPSs) opened in an amazing way with awesome polyp extension. 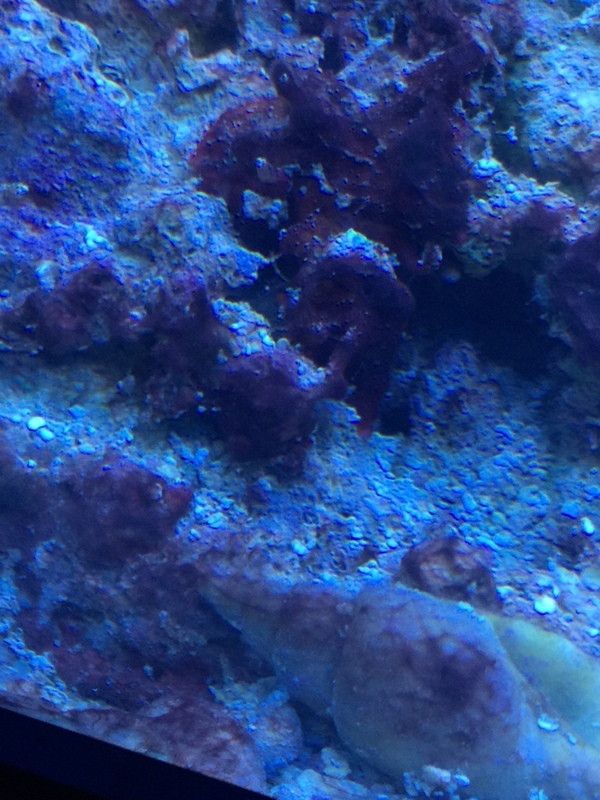 I did not notice anything weird with my fish and snails went nuts eating sediments. My theory is that if you let the skimmate sit for some days, there will be a competition and the strongest bacteria and critters will remain after all nutrients are eaten. These surviving bacteria and critters will be an awesome meal for corals and other inverts in the tank. When poured they will keep on competing and eating other critters in the tank, playing havoc amongst dinoflagellate colonies which are on the first trophic stage. Cool, thanks for the info. I have a full skimmer cup from when I stopped skimming on Sunday. I could use that. "Derived from the Greek words phyto (plant) and plankton (made to wander or drift), phytoplankton are microscopic organisms that live in watery environments, both salty and fresh. Some phytoplankton are bacteria, some are protists, and most are single-celled plants. Among the common kinds are cyanobacteria, silica-encased diatoms, dinoflagellates, green algae, and chalk-coated coccolithophores." Yes, dinoflagellates are probably the most abundant living form in the phytoplankton "cloud"
RIght so this completely makes sense to me how they flourish in our closed systems and how adding microfuana and other types of phyto help suppress them. I'm gonna try to take a video of my microscope and post it, never posted a video before but i'm sure I can google it. Does anyone know if you can safely transfer fish and corals from a Dino infested system to another? Looking for some insight from someone that has first hand experience preferably. Are these two infested tanks or just one? Even if they are two you should id the dinos in both tanks. If one tank is healthy you should not risk it. It may be able to fight off the dinos or not. If it's corals you are concerned about those can be moved between infested tanks with the same dinos. I've done that and same should go for the fish. You are certain to have dino hitchhikers with almost everything from an infested tank. About 2 pages back, JamesHolt talks about transferring tanks a couple of times. I am so excited. I finally pulled the trigger and ordered my microscope. Just got the email saying it should be arriving tomorrow. I went for a Trinocular compound microscope along with a 720P Wifi cam and an adapter for my Nikon. I considered the phase contrast version, but it adds quite a lot to the cost (over double) so I figured I would try a basic bright field setup first. I am finally going to be able to inspect my tanks micro-organisms in a more detailed way. Hopefully these will be decent quality for aquarium use and serve me well. Wow!, now that's looking at em. I'm trying to get a decent video with my iphone but not having much luck. dinos are in every tank and every reef. They're a normal part of the ecosystem. When we say someone "has dinos", we mean that they've run amuck and taken over the tank due to vacancies in the natural biological hierarchy. Transferring moves them but the conditions that allow them to explode into disastrous proportions are tank dependent. If the new tank doesn't exhibit the same conditions, nothing happens. If you tear everything down and set it up again with the same initial conditions, dinos take over again. Yeah I guess that makes sense. It's difficult because with so many different species of Dino's, nobody seems to know what "the right conditions" are. 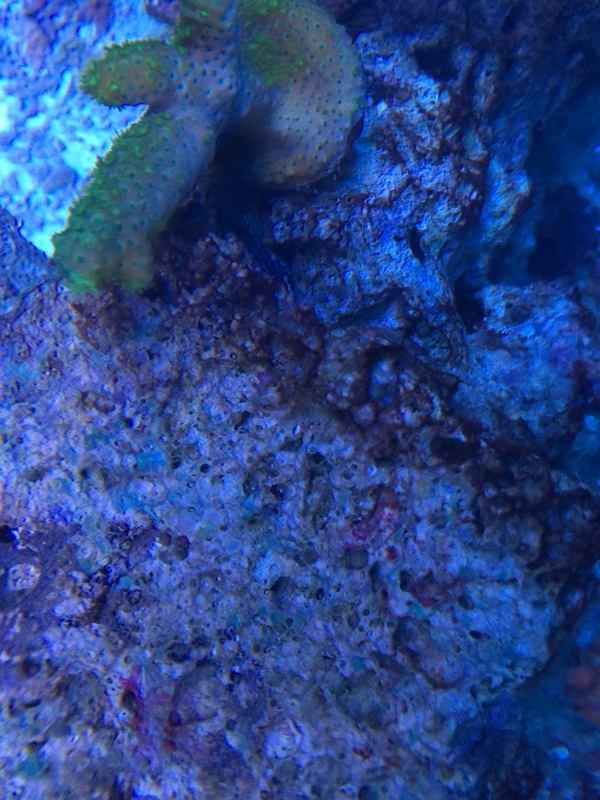 These kill the natural algae and biofauna that a healthy reef tank needs and exposes the ecosystem to a dino plague that becomes entrenched until the natural conditions can regain a foothold. Artificial systems like our reef tanks are really starved for diversity, so once a single creature takes over, balance becomes difficult to regain. I guess I'd compare it to a yo-yo dieter who can't seem to get long term good results. My skimmer is still off and the chemiclean instructions say to run the skimmer and do a water change which I am avoiding. Added new sump, skimmer and attached Coralife UV sterilizer to return line. Tank currently just has coral and a cleaner shrimp in it for the next 72 days. I'll post pics later to show how good my tank is looking, not a dino in sight. This was all done during a 1.5 week period. Doing it all at once seemed to put them in their place. Guys let me know if you think this is cyano or Dino's. Originally it had a stringy Dino look to it, I've blacked out for 2 days with seemingly no difference. Just now, I turned my pumps off and it seems to have almost settled into a cyano looking type mat. I'm just confused because I've never seen a system wide cyano outbreak kind of situation. I will post pictures and video from the "before" stringy appearance to the now "matted" appearance and would like to know what you guys think. This is the originally stringy appearance when I thought it was Dino's. These are pictures today that make me lean toward cyano. Note: I tried dosing with peroxide when I thought it was Dino's. First few days noticed no difference then all of a sudden one day after a dose it blew up and went everywhere. I've been looking at cheap Chinese scopes. Please post some pics. Well, you sure don't hesitate once you've decided to treat. Keep a really close eye on your ammonia levels, you might have nuked a lot of the biofilter there between scrubbing your rocks, removing sand, the peroxide. Maybe ghost feed the tank while your fish are in QT? 2nd pic does look like cyano. I have both cyano and dinos (good grief) and 2 day blackouts don't seem to affect either one much. 3+ days is the magic number. Cyano comes off in big sheets if you gently pull it. The bubbles look more like they're inside or under the mat where dinos seem to have bubbles at the end of the strings. H2O2 is a weak acid but will certainly kill bacteria. Both dinos and cyano like it when there isn't much competition. Given the choice, I'd sure opt for cyano.